Since their low key marriage at the end of December, Liam Hemsworth and Miley Cyrus have quietly become a bit of a Hollywood power couple. After tying the knot, it seems the young pair are more in love than ever, and you can see it in the way they talk about one another. 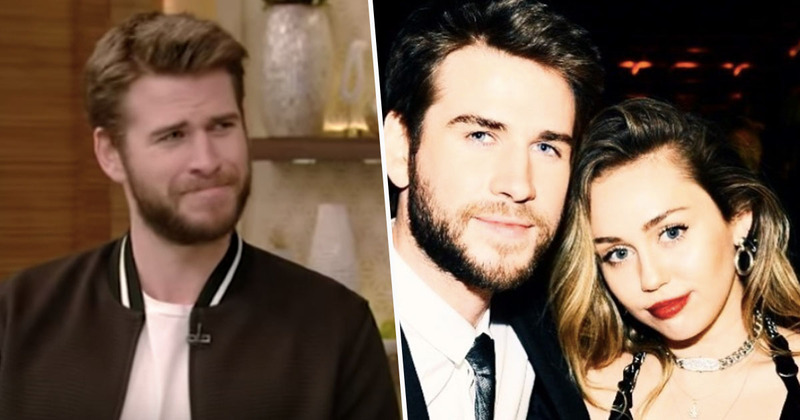 Liam Hemsworth recently appeared on Live With Kelly And Ryan, where he revealed Miley had secretly taken his last name, even though he never asked her to. Miley and Liam’s relationship hasn’t necessarily been smooth sailing, with reports of the couple breaking up and getting back together over the years. They first met back in 2009 and got engaged in 2012, but broke up the following year. A few years later though, they rekindled their flame and got back together in 2016. There was a rumour the pair had split up in 2018, with Liam supposedly wanting to settle down and have kids, while Miley was apparently ‘not quite ready’ for that lifestyle. Ten years since first meeting on the set of The Last Song, the couple married at their home in Tennessee, just five days after obtaining their marriage licence, according to MailOnline.